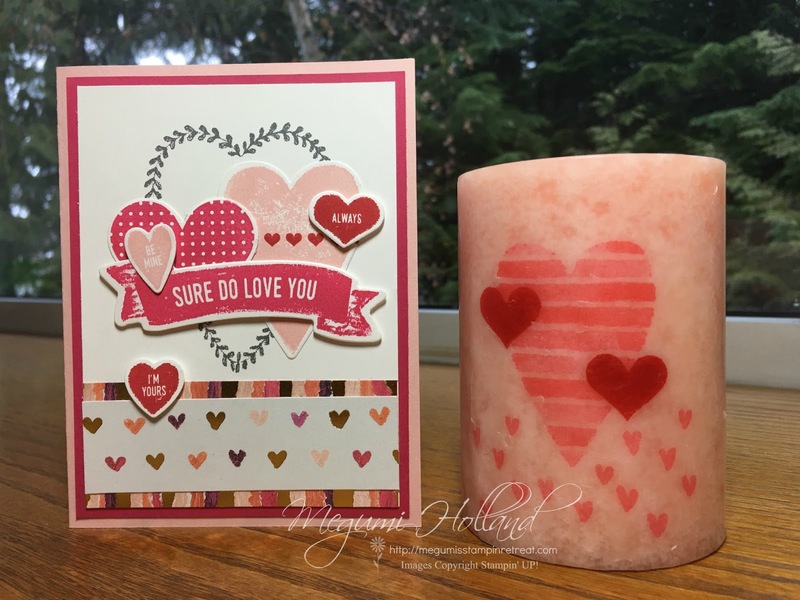 Megumi's Stampin Retreat: Valentines Ladies Night Out at Full Moon Candle Co.
Valentines Ladies Night Out at Full Moon Candle Co.
Hello Stampers! I am super excited to share these pretty projects that we are making at my upcoming event, Valentines Ladies Night Out. I have teamed up with Sequim's Full Moon Candle Co. to co-host a fun Valentine's Day event. This event will include three projects and all supplies are provided. There are still some spots open so please feel free to contact me with any questions or to register for the event. If you are local, please feel free to visit the store to register in person or visit their facebook page to register. 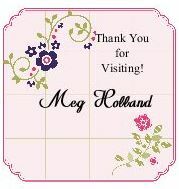 Event Specials - During the event, all purchases made in store will be 20% off and I am offering FREE SHIPPING for Stampin' Up! orders. We will create a valentine effect on the Grapefruit Rosemary candle. Oh my goodness, it smells wonderful! Click HERE to learn more about their popular Grapefruit Rosemary Candles. I will show you how to transfer stamped images onto a candle using the Heart Happiness Stamp Set in the Occasions Catalog. This card features the Sure Do Love You Stamp Set, Heart Happiness, Painted with Love Specialty Designer Series Paper, and Lots to Love Box Framelits, all from the Painted with Love Suite Collection in the Occasions Catalog. It is beautiful with a touch of gold foil. You will create a matching tag to add to your gift bag (provided).